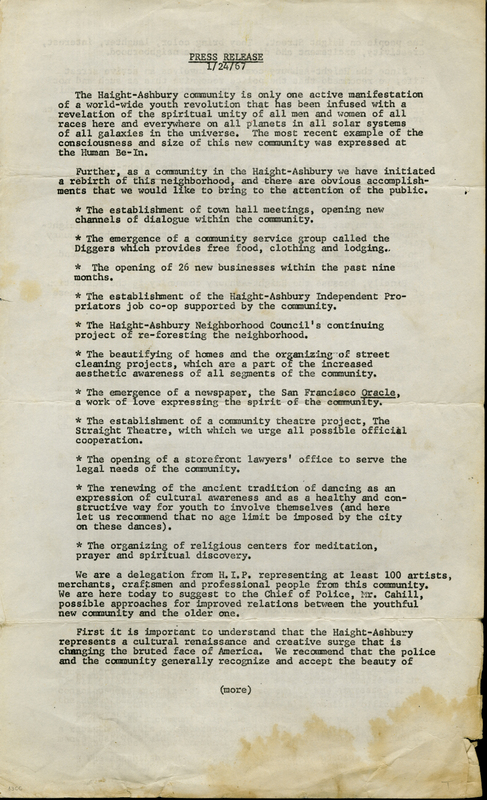 Abstract: "The Haight-Ashbury community is only one active manifestation of a world-wide youth revolution that has been infused with a revelation of the spiritual unity of all men and women of all races here and everywhere.." Statement by a "delegation from H.I.P." to Chief of Police Cahill suggesting "possible approaches for improved relations between the youthful new community and the older one." 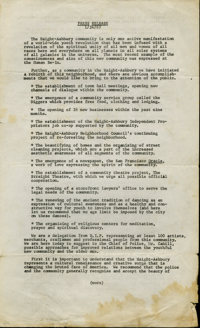 Lists achievements of the community. Threatens a lawsuit over harassment.